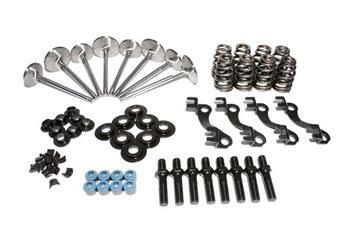 RHS Cylinder Head Assembly Kit UNIVERSAL - MiataRoadster - Stay tuned with MiataRoadster! When it comes to street performance and/or competitive racing, the horsepower capability of cylinder heads can be limited if not used with the right parts. Cylinder head studs and components can mean the difference between high performance durability and stress-related component failures. RHS tests all of its cylinder heads with premium COMP Cams components − giving you the optimal airflow combination for maximum engine performance. These exclusive RHS part kits give you the ideal combination of components for your cylinder head assembly and are proven to offer superior performance for your specific engine application.